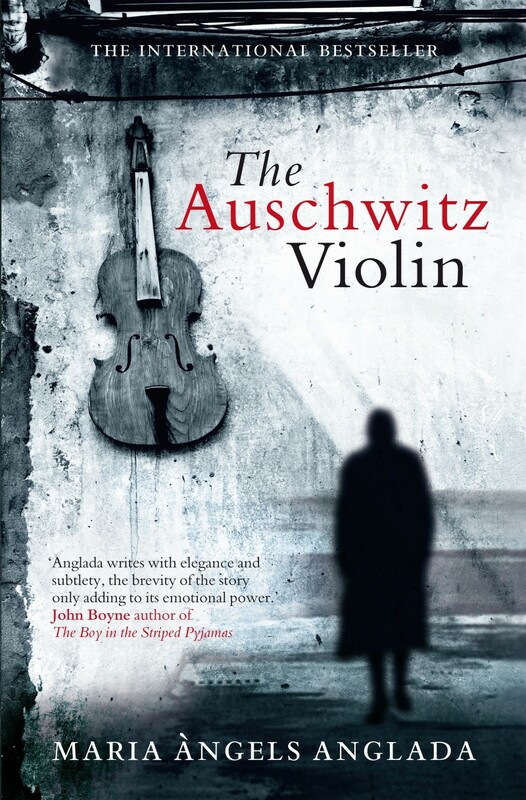 I desperately wanted to read The Auschwitz Violin as soon as I saw the review posted by the Lit Addicted Brit. Months later I convinced my doting Father to buy me a copy on Christmas Eve, the annual day of buying-Hanna-whatever-she-wants-for-no-reason. It reminded me a little of The Boy in the Striped Pyjamas before I’d even opened it – it’s of a similar size and obviously there’s a similar topic. Truth be told though, The Auschwitz Violin can more than stand on its own feet and I’d be hard pressed to say which I enjoyed more. In the winter of 1991, at a concert in Krakow, an older woman with a marvellously pitched violin meets a fellow musician who is instantly captivated by her instrument. When he asks her how she obtained it, she reveals the remarkable story behind its origin. . . .
Daniel is a talented luthier, but he is also an inmate at Auschwitz Concentration Camp in Poland. He has kept his true occupation a secret in order to avoid the gas showers, but when he offers to repair a broken instrument belonging to the Commander, he makes a mistake that may cost him his life. Somehow, hearing the story of one individual can be more traumatising than being told the statistics of the estimated 1.1 million people that were slaughtered at the Auschwitz camps. I can’t take credit for that particular revelation – go thank The Lit Addicted Brit for the insight. When I read that review though, something just kind of clicked inside my head – it’s true. We’ve all heard the horrifying figures from our history lessons and TV documentaries, but we don’t really feel it until we’re told the story of one particular inmate, even if it is fictional. That’s why books like these are so important – they might not be 100% completely accurate, but they get the true feeling across more than any Wikipedia page ever could. I liked Daniel but I couldn’t help but feel I should have connected to him more. Perhaps that’s more to do with the short length of the novel than any fault of the writing, but even so. That said, I respected him and his love for violins is palpable. It’s clear a lot of work has gone into researching craftmanship – each stroke of sandpaper and tightening of string is meticulously detailed, and it’s easy to get as drawn into to its creation as Daniel does. He’s close to giving up hope and sometimes feels like the violin is the only reason he hasn’t given in to despair. I have an Irrational Hatred (so frequent it needs to be capitalised) for whiny characters even if they have every right in the world to complain. However, even despite my usual dislike, Daniel never bothered me. Not once. If that’s not a glowing recommendation, I don’t know what is. It’s just a very subtle book, I think. It doesn’t need to bludgeon you with the desperation because you can feel it slowly seep in around the edges and that’s much, much more effective. The only thing that didn’t seem to make much sense were Daniel’s feelings towards the violin. I understand that its creation was possibly the only thing keeping him alive at that time, and yet I didn’t really believe that he would love it so much. Surely after going through such a horrendous ordeal, he’d never want to see the damn thing again, much less ensure that his family keep hold of it after he’s gone. Not a huge point, don’t get me wrong, but I didn’t think it was explained very well. Interspersed between chapters are genuine documents from the time when Auschwitz was functioning. These detail punishments meted out to the inmates along with their living conditions and experiments performed. There’s just a few scattered in and amongst – not enough to overwhelm the story, but enough to cement your impression of its horrors and remind you that the story may be fictional, but the camp was not. I enjoyed The Auschwitz Violin. It’s strange though – having finished it, I put it on the shelf and wandered off to do something else without feeling particularly moved or pensive. It does keep coming back to me though, and it’s nearly a week since I finished it. Parts of it will pop up in my head for no apparent reason and I can’t help but feel they’ll be haunting me for a while to come. This book was recommended to me awhile back. I haven't gotten it yet, but I'm definitely going to have to do that soon! This sounds really good! I don't think I had heard of it before! I completely agree with your point about how fictional accounts can relate so much better than documentaries. Though I have Schindler's Ark to read but I keep putting it off as I know I need to be in the right frame of mind for it.